The Crew 2 is looking to double down on improvements from the first game, which opened to middling reviews. That’s apparently why it’s also letting you switch from plane to boat with a mere button press. It’s seriously wild. Need some high-octane racers to quell your need for speed? See our list of awesome racing games. 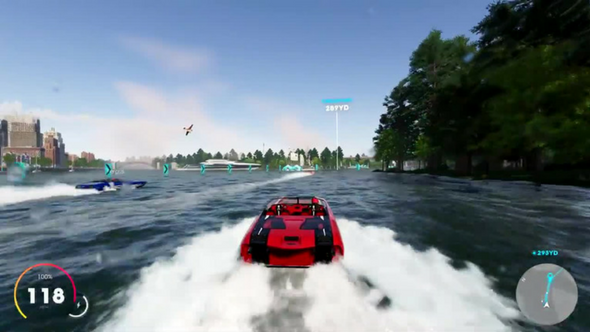 We already knew previously the game would feature boats and trucks and other vehicles of that sort, but effortlessly swapping between a boat and a plane at a moment’s notice is certainly new. You can see it all unfold in the latest gameplay video above, which shows off the new triathlon mode. Players will have to conquer road, sea, and air routes when testing out the new triathlon activities, which means you’ll see quite a bit of this transforming business sprinkled throughout the game. It already looks leaps and bounds ahead of its predecessor. The Crew 2 is currently scheduled for a 2018 launch.